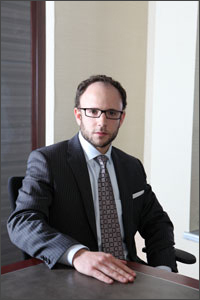 Morrie Luft is an experienced Toronto criminal lawyer with a proven track record. Mr. Luft fights for your rights. He does not give up on any case because it appears too difficult. Most importantly, he works tirelessly so that you receive the best defence. Often a criminal charge is a nightmarish, isolating experience. First of all make sure you hire the right criminal lawyer. Ensure your case has a successful strategy. As your lawyer, Mr. Luft analyzes the allegations against you. He explores every angle of your position. And finally, he advances every argument concerning your defence. Mr. Luft’s practice is strictly restricted to criminal law. He represents those who are charged with any type of offence under the Criminal Code, the Controlled Drugs and Substances Act or the Youth Criminal Justice Act. He is licensed to practice law by the Law Society of Upper Canada and is a long time member of the Criminal Lawyers’ Association. Also Mr. Luft is a member of Legal Aid Ontario’s Extremely Serious Criminal Matter Panel. If you are serious about fighting your criminal charge, contact Morrie Luft. Receive sensible advice and skilful representation by a Toronto criminal lawyer. To see what past clients have to say click here. Mr. Luft is also available for emergency bail hearings. Morrie Luft can be contacted at 416-433-2402 at any time. His office is located in downtown Toronto. There is plenty of parking available and he is a 5 minute walk from the Eaton Centre (Queen Subway stop). For directions to Mr. Luft’s office, click here.